Wesley Eugene Bjur 1927 – 2013 Wes was a scholar, author, an Associate Professor Emeritus at University of So. California, United Nations consultant, Senior Fulbright Lecturer in Spain, computer whiz “par excellence” and Ham Radio CW Enthusiast. For 66 faithful and exciting years, he was husband to Dorothy, “Dottie,” Mae, who passed away 5 months prior. Wes leaves a large family who will profoundly miss him. He died after a brief and sudden illness on March 21, 2013 at the age of 86 yrs. 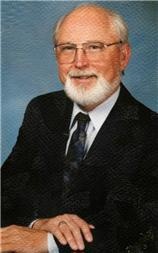 A memorial to honor his life was held at Carmichael Presbyterian Church at 2:00 PM on Friday, April 12, 2013. The SFMARC will greatly miss you!